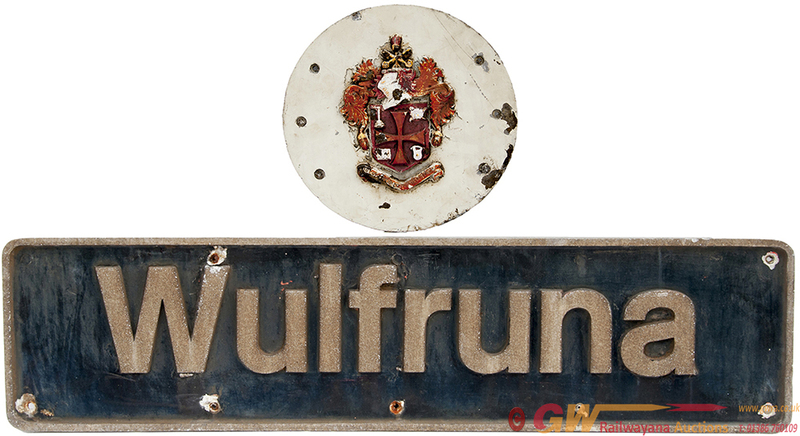 Nameplate WULFRUNA and original badge ex British Railways class 86 electric, carried by 86 433 / 633, named 21.06.85, name removed during 2004. In ex loco condition. This nameplate is being sold on behalf of Freightliner Group Limited and comes with an official certificate confirming this.